Check out Tobi's Vana Bar Shift Dress Set the bar a little higher with the Mauve Vana Bar Shift Dress. This scoop neck mini dress has chic spaghetti straps and a flirty shift silhouette, with trend-led bar cutouts at each side for an alluring look. Brunch, happy hour or date night, you'll want to be seen in this cute shift dress. 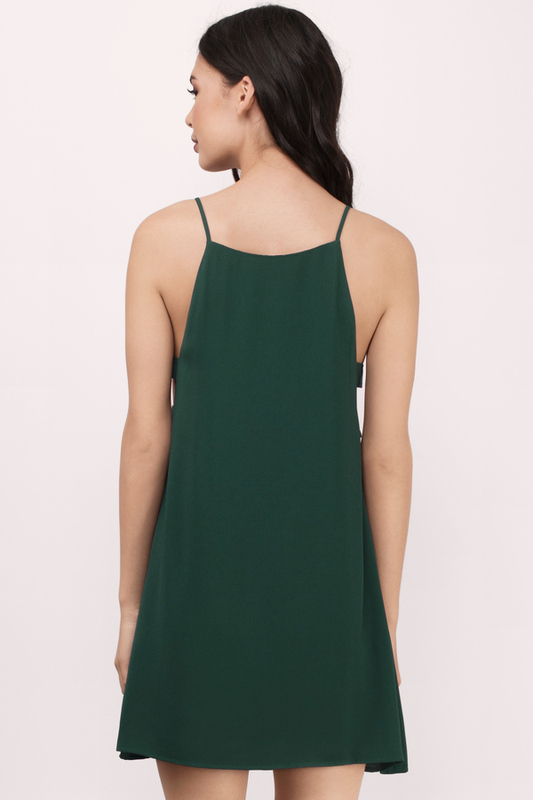 Set the bar a little higher with the Green Vana Bar Shift Dress. This scoop neck mini dress has chic spaghetti straps and a flirty shift silhouette, with trend-led bar cutouts at each side for an alluring look. Brunch, happy hour or date night, you'll want to be seen in this cute shift dress. Set the bar a little higher with the Wine Vana Bar Shift Dress. This scoop neck mini dress has chic spaghetti straps and a flirty shift silhouette, with trend-led bar cutouts at each side for an alluring look. Brunch, happy hour or date night, you'll want to be seen in this cute shift dress. Set the bar a little higher with the Mauve Vana Bar Shift Dress. This scoop neck mini dress has chic spaghetti straps and a flirty shift silhouette, with trend-led bar cutouts at each side for an alluring look. Brunch, happy hour or date night, you'll want to be seen in this cute shift dress. Green, Wine modeled on a size Small.